One of Hong Kong’s most popular routes. On clear days the views are spectacular. 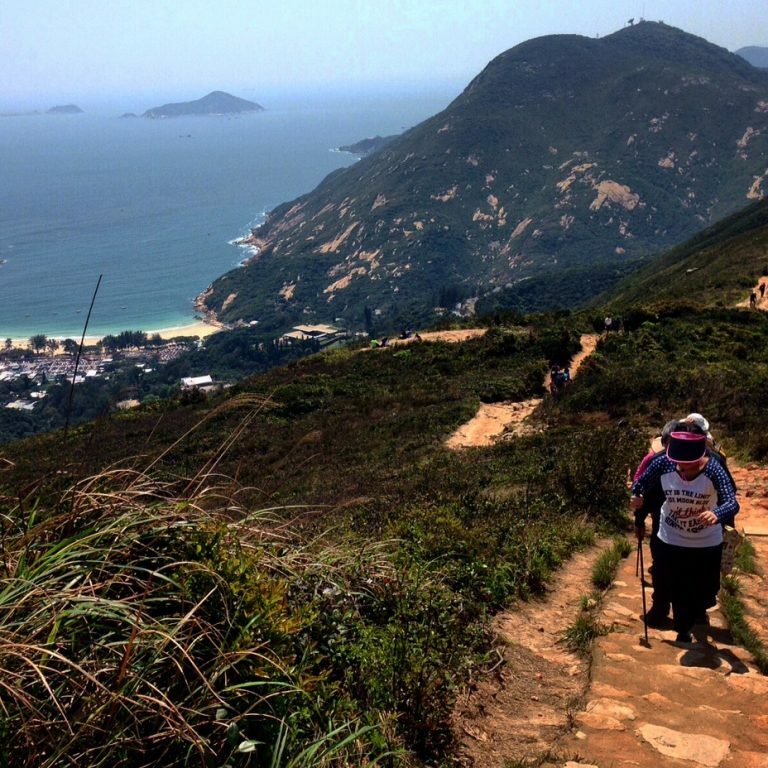 It covers the last section of the Hong Kong Trail. Starting right where you get off the bus, head up the hill for some insane views of Shek O Beach and coastline. Head along the ridge, then down, turn right, and go along the winding shaded contour trail that finishes in Big Wave Bay. Bring what you need for the route to the start. Cafe’s, shower and toilets available at the famous Big Wave Bay. Shek O Beach is just down the road from the finish, you can see the route in the image (open in new page for size). There is a better selection of restraunts at Shek O beach. *GPS was a little funny at the start – just begin from the bus stop and go up from there. Take the MTR to Shau Kei Wan, go to Exit A3, then get Double Decker Bus no 9 to To Tei Wan bus stop. The trail starts there. From Shek O Beach (see picture how to get from Big wave bay to Shek O – open in new window for size), you can get the no 9 bus back to Shau Kei Wan MTR.